"I'm bored." Schools across the country are letting out for Holiday break and this is what you are likely going to hear out of your kid's mouths after the first few hours at home. Our schools let out tomorrow and I am trying to plan plenty of fun activities to keep the boys busy and from whining my ears off. 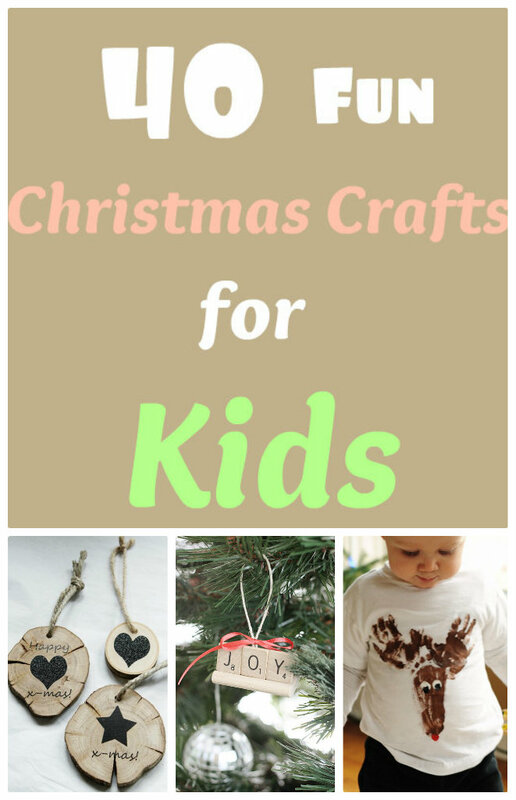 What better way than with some amazing Christmas crafts for kids! My nephew would love some of these ideas! I love your blog! So many great articles... I thought you might like to know that www.dentist.net is offering 10% off their products with the code ORALCARE :) Happy holidays! The items in the list were great and I think they would be perfect for my kids too. Love having a list like this! Awesome! What a great lineup! My son just brought home a Fruit Loop Candy Cane from Pre-K today. Great roundup! Thanks for sharing. Thanks for sharing! My daughter loves to do crafts. OHHH this is a great list, thanks for sharing. Thanks for the awesome roundup. We are going to have to try some! I wanted to make ornaments this year but didn't get a chance. These are some great crafts. This is a good looking list here. Great list, Kathleen. So many fun ideas for next year. What a great list! I'll have to bookmark these for next year.